Is it crazy to think a negative review can help you hit the advertising jackpot? Nope! Many brands have actually started creating campaigns and advertisements by shining the spotlight on their negative reviews. KFC used bad reviews to their advantage pretty well earlier this year after someone tweeted that the entire world doesn’t like KFC fries. Other Twitter users jumped on board too, one asking ‘how can KFC be so good at chicken and so bad at fries?’. KFC’s response to the Tweets was perfect. They built the ‘Ain’t No Small Fry’ campaign around all the negative feedback they’d received about their fries. Instead of ignoring the growing pile of negative comments about their disappointing side, KFC were able to understand and action the complaints. This ensured that customers remained satisfied in future. A US ski resort also created a campaign around negative reviews – but instead of conforming to the reviewer’s desire, they pointed out why their problem is actually their best selling point. This shows that while one person might feel a particular way about a product or service, that same reason could be why others continue coming back for more. Not to mention how suspicious it looks when something only has 5-star reviews. 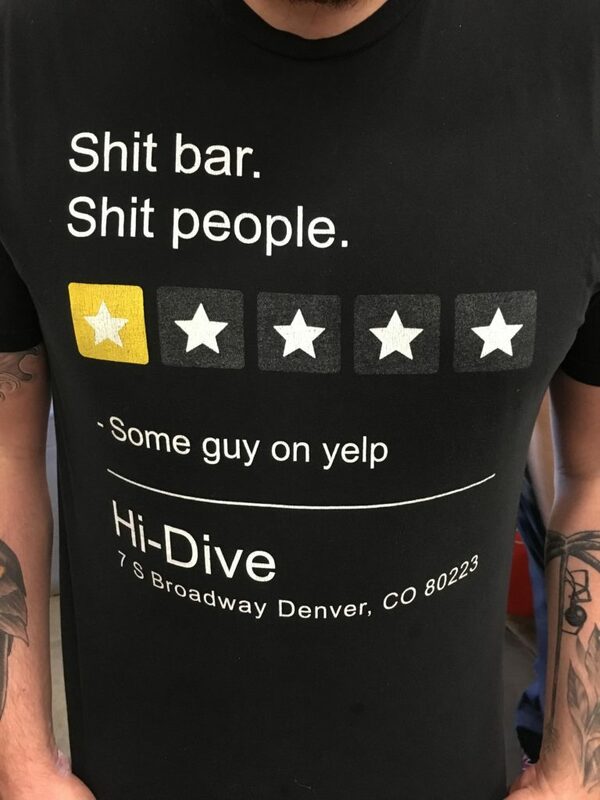 One Denver bar even cashed in on their negative reviews. Hi-Dive owned the comment loud and proud by slapping it on a T-shirt for all their customers to see with intrigue. The staff described the review as concise and humorous, with their natural response being to literally wear it. It even turned into advertising people paid for – with more than 450 tees sold! While business owners might live in fear of a bad review, these few examples show that it’s not always so bad! Negative reviews have the potential to promote change and growth in your business, and can test how you handle the issue. It also gives you a chance to humanise your brand and show that we’re all just everyday people – not just faceless companies and corporations. Whether it’s a misunderstanding, or difference in perspective – by using the negative review as an advantage, companies have the opportunity to win over audiences.